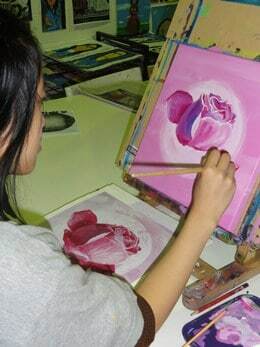 At Young Artists we offer children’s art classes that aim to develop a love of art and creativity while laying a strong foundation in visual art. Your child can join the class any time during the term. 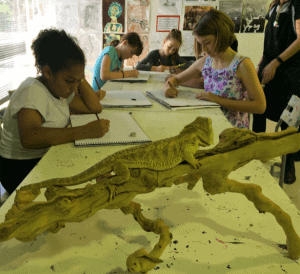 Throughout the term, your child will learn new skills while creating artworks in response to a range of subject matter from their world and studies of famous artists. They will experiment with a variety of media – pencil, charcoal, clay, ink, paint, pastels, aquarelles, glazes and recycled items. Strong basic drawing and the design principles are encouraged. 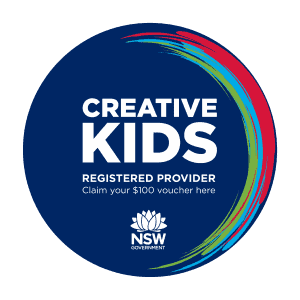 If you enrol more than one child, you receive a 10% discount on the second child for a 10 week term (excludes Preschool art classes and Kindy classes). Each child receives a Merit Certificate for each year of art classes completed at Young Artists. 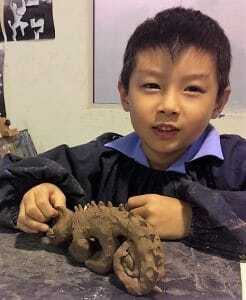 Our age appropriate art programs change from term to term so that the children stay interested and challenged. They vary from juniors to seniors to allow for age, ability and different interests. The teachers at Young Artists are qualified art educators with Bachelor and Masters degrees in Art Education which means they have studied child psychology and know the best methods to teach each individual child. The high quality of teaching in our art classes is reflected through the many art awards our children win every year in various art competitions. Some of the competitions our students have won first place in include the Sydney Royal Easter Show Arts and Crafts exhibition, AGNSW Young Archie awards, the Castle Hill Show, Young Australian Art awards, Threatened Species children’s competition, Hills’ Design an Ad and the Sydney Children’s Hospital Faces and Masterpieces competitions. Day Classes for Preschoolers 4-6yrs old. After School Classes and Saturday Classes. Great art activities that are designed purely for fun to keep them busy in the holidays. 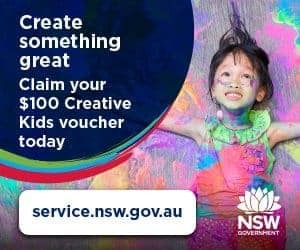 Young Artists is found in the Hills district of Sydney. Our professional, child friendly and light filled studio space is located at Unit 43, 9 Hoyle Avenue, Castle Hill NSW 2154.